Previously I wrote about the essential pieces to create a versatile Spring capsule for stay at home mums on a budget. This week’s post is about adding a few items which will help you transform your casual spring capsule into fashionable and smarter looks. Some of these items are not quite in the same budget range as the capsule pieces, but I’m assuming that your partner might be treating you to a special item (or two) for the outstanding work you are doing with his offspring. Yes, because Mother’s Day is around the corner and so he should. All things Leopard are enjoying a fair share of the limelight at the moment and you won’t need to look far to find yourself an item with this popular print. I came across a Leopard Shirt at Never Fully Dressed which I love, and clearly so did a few other people, as their website said that it sold out overnight. The good news is that they are getting more stock in, but the bad news is that the stock will arrive after Mother’s Day. A voucher in a card, maybe? This blouse is £59, but I believe that, in spite of the bold nature of the print, this will remain a popular piece in your wardrobe for quite some time. If you like the leopard print, but think that something a little bit more casual and relaxed suits your style and wardrobe better, then the Monki Leopard Boxy Shirt (£25) is the perfect alternative. You can dress it up or down with your trainers, heels or jewellery to create different looks, thereby adding an extremely versatile top to your spring wardrobe. And its very reasonably priced too! 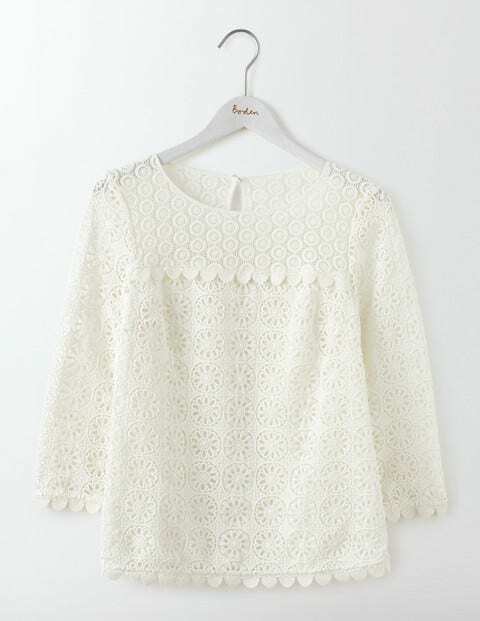 A pretty feminine lace top is the ideal way to add a softer look to your basics. It is also the perfect top as the weather warms up to combine with floral patterned skirts, printed trousers and shorts for an effortlessly glamorous summer look. Boden’s Poppy Lace Top normally retails at £90, but it currently has 40% off. So hurry up Dads, you can buy this higher priced item at a fraction of the cost and really impress her with your shopping skills and good taste. Zara’s white lace top is £29.99 and has a more relaxed and casual feel, if Boden’s lace blouse feels a little bit too formal for you. Another way to add a touch of femininity to your spring capsule is with a floral blouse. I love the Ardlui Collar Tie shirt (£75) from Finery. It is gorgeous and will add a flair of sophistication to all the items in your capsule wardrobe. As we get closer to summer you will notice a few bright colours emerging, yellow being the champion amongst these brights which will include pink, cobalt, orange and green. Zara’s Yellow Poplin top with pleated sleeves (29.99) covers both the big sleeve and yellow trends in one blouse and will boost your understated spring capsule with a strong lemony zest of colour. My favourite is French Connection’s Milano Mozart Laddered Oversized Jumper (£65) in Sunset Wave. 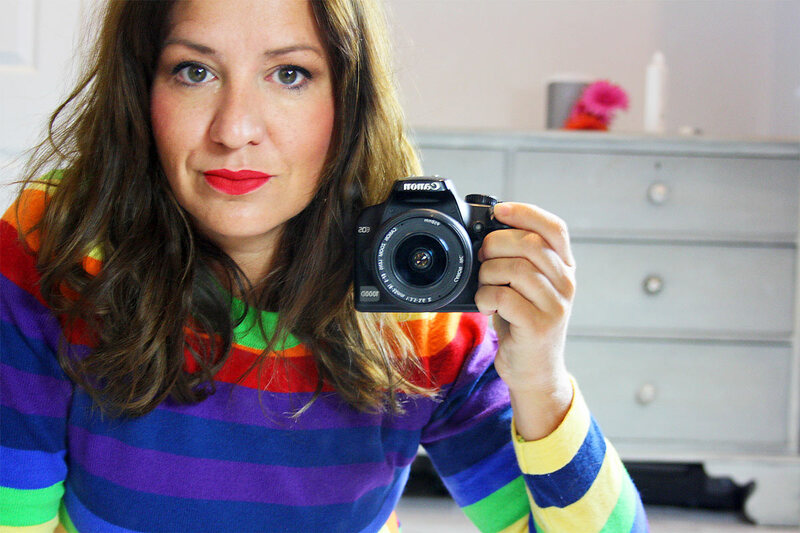 Yes, it’s a jumper with a funnel neck, but it definitely has spring written all over it. 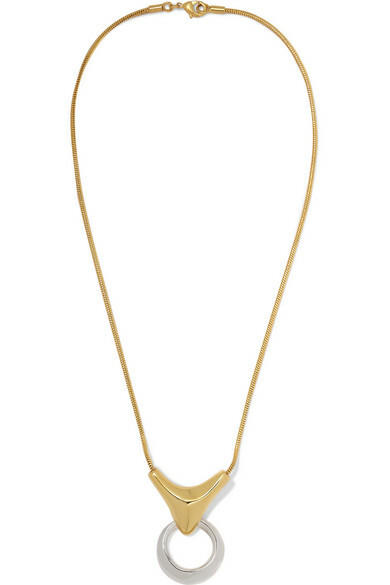 If an accessory is the preferred Mother’s Day gift, then consider the Pamela Love Kendrick Necklace for £155. It grabs my attention for incorporating gold and silver plating, so no fear of clashing with other jewellery or clothing and handbag trims. This is the sort of necklace I’d imagine packing for a holiday – I often end up packing several necklaces and not using them all – this one would solve that problem. Alternatively have a look at the Rachel Jackson London Art Deco Initial Necklace which comes in gold and in silver for £40-£45 as these are pretty good as a gift idea too. Hopefully you can find a surreptitious way to pass on some of these ideas to your children’s Daddy dearest, but Mother’s Day or not, any of these items will compliment your capsule wardrobe and add to its versatility.